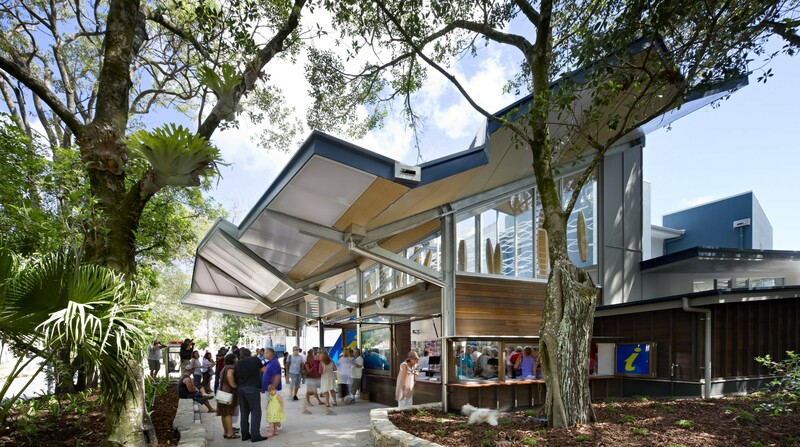 Beneath the canopy, the visitors’ experience is inextricably linked to the qualities of the surrounding natural landscape, where the main public visitor information space becomes part of the life of the street. 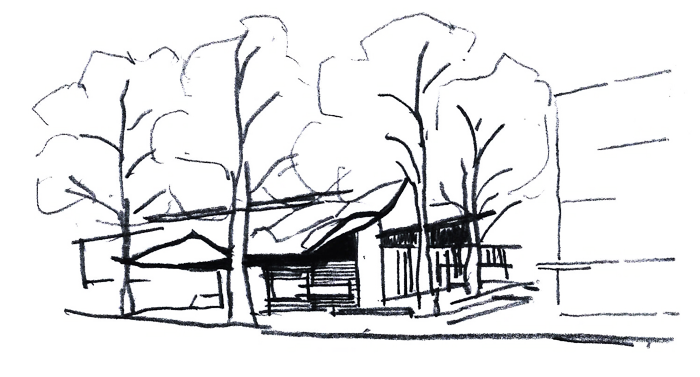 We chose to focus on the simplest natural element of a landscape – a leaf, something that is natural, organic, sculptural, folding, undulating, sheltering and reaching dynamically for the light to inform the leaf canopy. 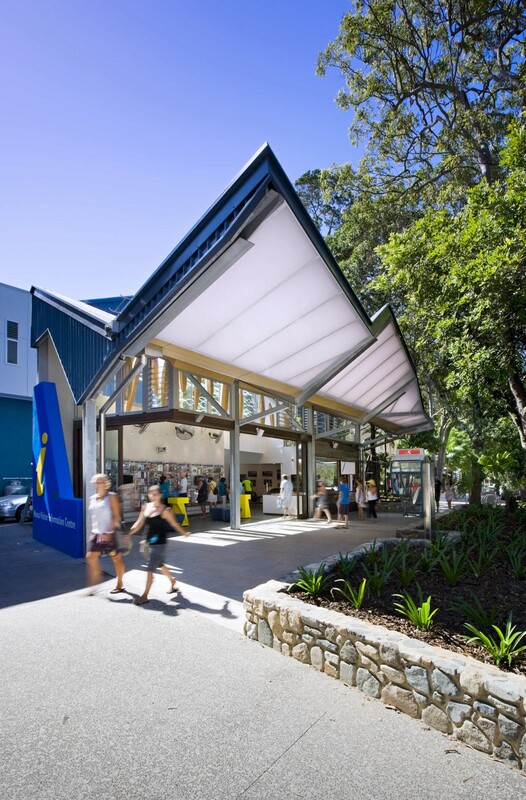 Inspired by a simple leaf, the roof allows Northern light and winter sun through the space and onto the footpath, whilst the roof cantilevers over the street to enable a larger and more ambiguous arrival experience of inside and outside space – the main public visitor information space becomes part of the life of the street. 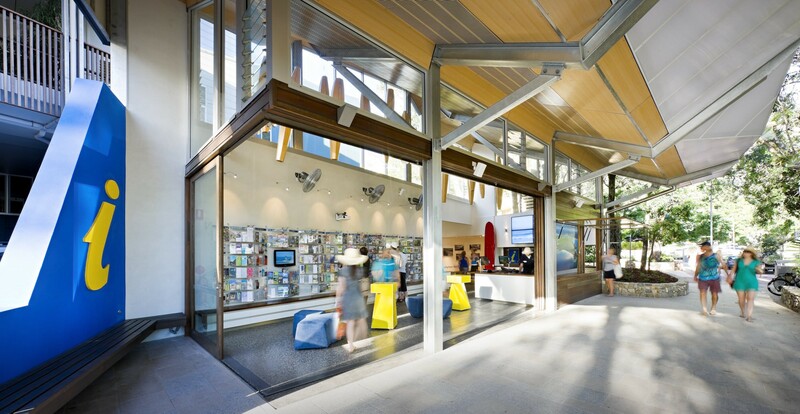 The angles of the roof form together with high level clerestory glazing to allow the visitor to look up and out to the fascinating views available underside of the tree canopy. 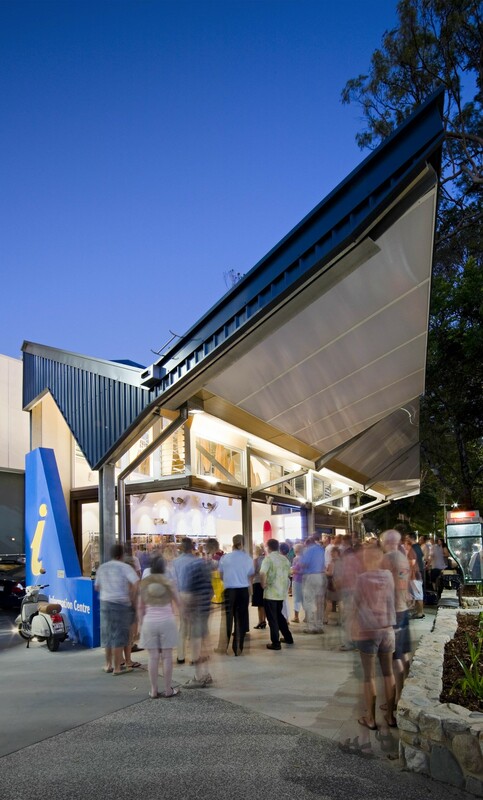 This interpretation was important for us to produce a dynamic and sculptural roof form that seemingly rests over a building that celebrates glass as a material choice. 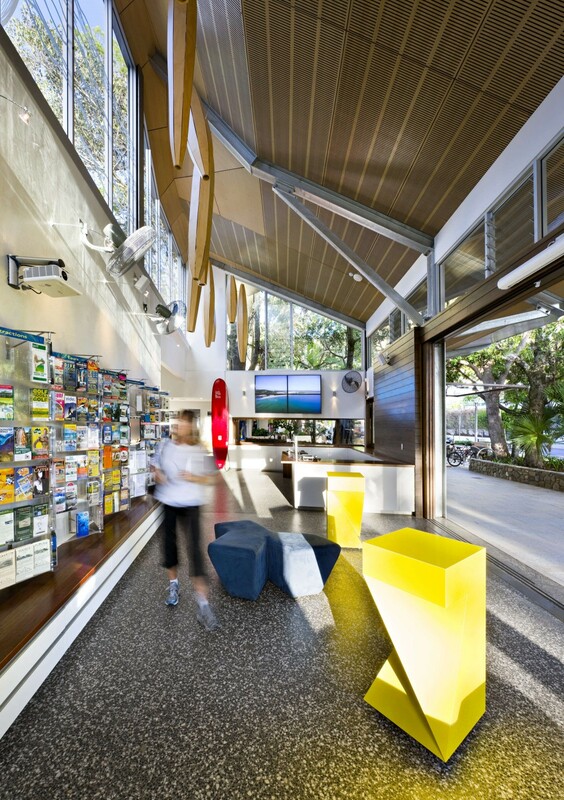 This natural, organic form stretches up dynamically over the Visitor Information Centre and towards the light. 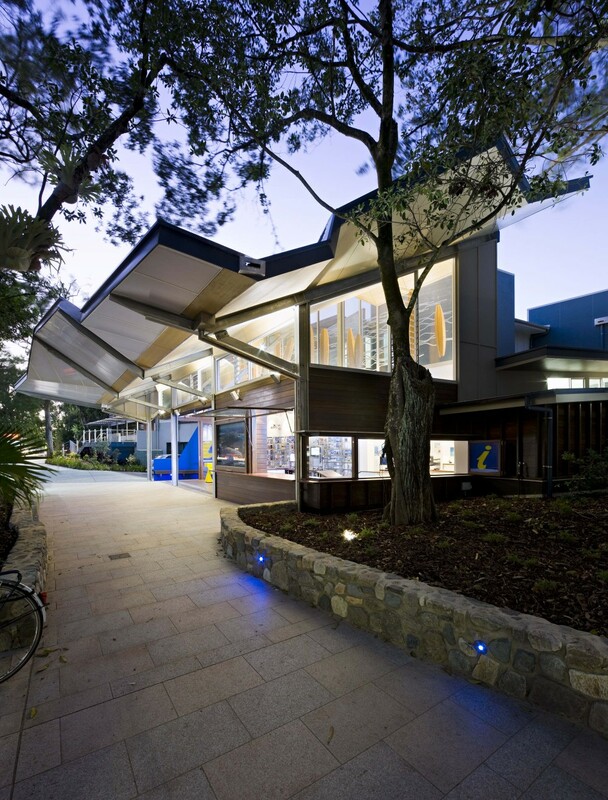 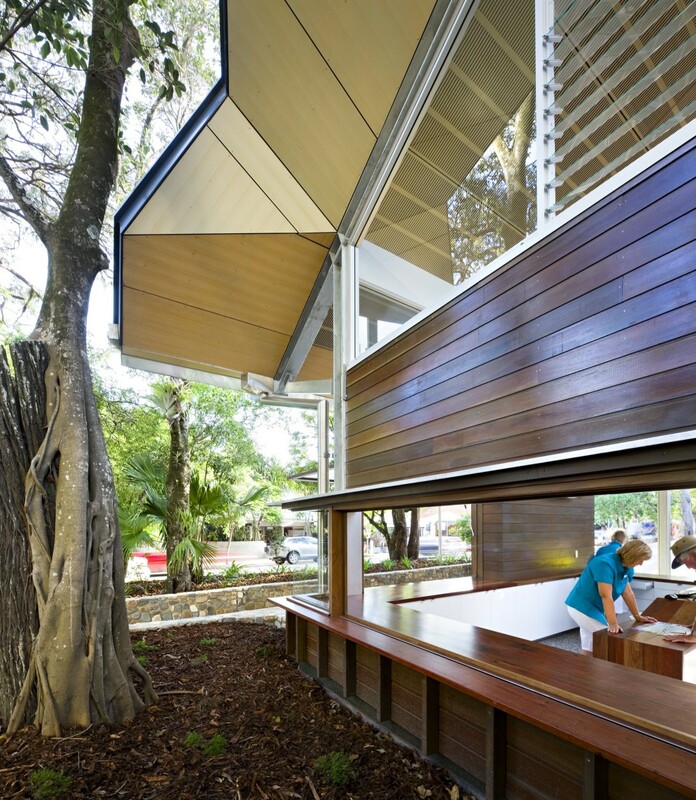 A recyclable steel and glass structure provide an open, free-flowing transparency to the built form, to be contrasted with the natural warmth of a sustainable material palette of recycled Australian hardwood joinery sourced from a demolished wool shed, plantation grown plywood and Queensland Spotted Gum hardwood timber work. 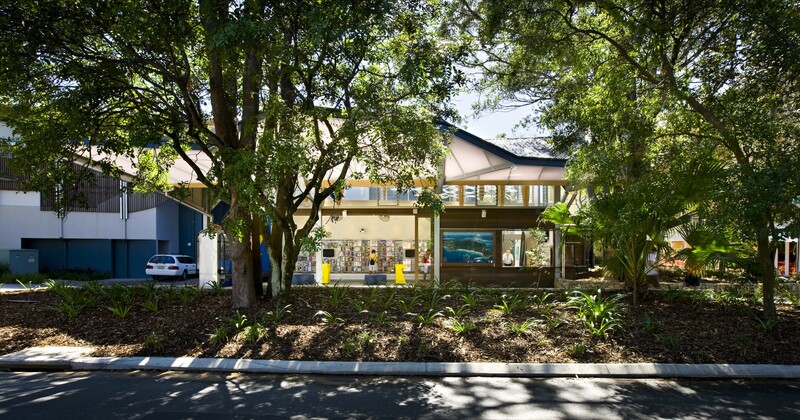 Inspired by the significant remnant vegetation located to the east of the proposed building footprint, this project gave Bark the positive opportunity to develop a scheme that demonstrates an inextricable link with the surrounding landscape. 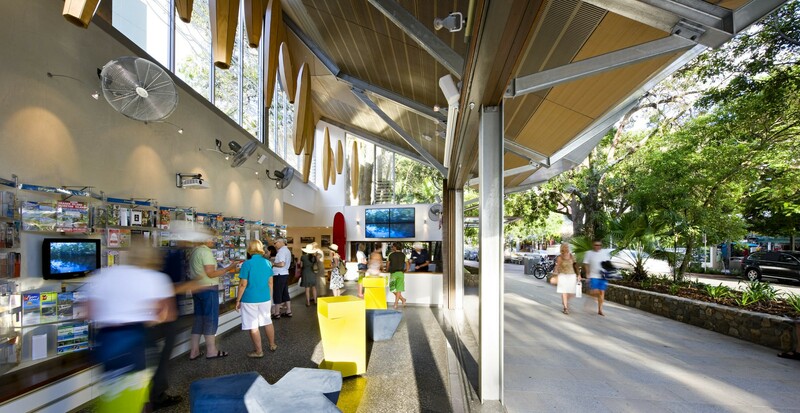 We are incredibly proud of the Noosa Visitor Information Centre as it has been recognised to define Noosa’s look and feel as a place, and has been highly awarded for doing so.